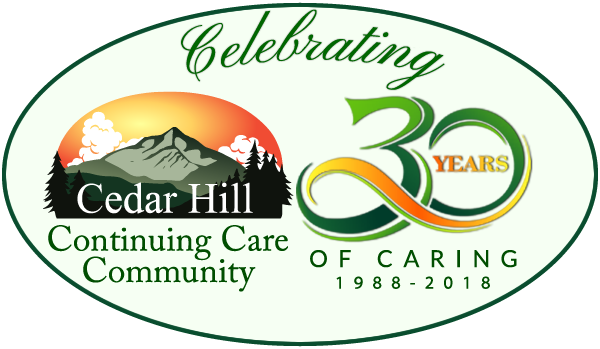 WINDSOR VT, February 16, 2015—Award-winning Cedar Hill Continuing Care Community invites the community to a celebration—the opening of their expanded independent and assisted living wing and new memory care center. The open house celebration will be held on Sunday, February 22, from 2:00 pm to 4:00 pm and will include tours of the new 40,000 square-foot addition on Route 5 in Windsor. A press conference will be held prior to the open house, starting at 1:00 pm. Co-owner and founder Mary Louise Sayles and co-owner and community administrator Patricia Horn, along with the Cedar Hill staff, welcome visitors to view the new building, which will triple the space and resident capacity of the assisted living community and provide state-of-the-art care for memory care residents. The original 17,854 square-foot building included common areas and 21 one- and two-bedroom apartments. The expansion added two levels, increasing the area to 59,720 square feet. The community employs nearly 100 individuals and the new addition, designed by Mackenzie Architects of Burlington, VT, will ultimately add 25 more jobs. The state-of-the-art Judith Brogren Memory Care Center, the first of its kind in the area, is designed with consideration for the special needs of people with memory loss. The new center features two living areas, solar tubes that draw in natural sunlight, a country kitchen, and expansive internal areas for walking and socializing. The secure and fully-staffed memory care center was built specifically to serve the needs of people with Alzheimer’s or other dementias, with dining and activity centers, a salon, a whirlpool and a sunroom that leads out onto an expansive patio and an enclosed garden and walking area. The memory care center will be dedicated to Judith Brogren, RN and co-founder of the Cedar Hill Continuing Care Community, who passed away in 2013. Judith was a former Director of Nursing Services at Sullivan County Nursing Home. The new wing for Independent and Assisted living features additional one- and two-bedroom and studio apartments with walk-in closets, wheelchair-accessible bathrooms and large showers. The addition expands common living spaces with a new dining room, living room, pub, large multipurpose activity room, fitness center, sun porch/art center, and light-filled library with computer centers. The new assisted living wing will be dedicated to the memory of Maria Louise Horn, the oldest daughter of Sayles and sister to Horn. Maria, who died in 2004, was a licensed nursing home administrator who worked on the seacoast of New Hampshire. Founded in 1988, Cedar Hill Continuing Care Community has created an environment of encouragement and supportive care for seniors, enabling them to live with dignity and maximize their personal potential, offering a high quality, holistic approach to senior living in a relaxed, friendly and homelike setting.